FEROZEPUR / PATIALA, Punjab—Bhai Dhian Singh Mand, interim Jathedar of Sri Akal Takht Sahib has been sent on judicial remand for seven days in Ferozepur jail. Bhai Mand was produced before the Sub-Divisional Magistrate Sandeep Singh earlier today who sent Bhai Mand to judicial remand. Bhai Dhian Singh Mand was released from police custody on June 3 and was placed under home arrest. Police had arrested him on precautionary measures ahead of the 1984 Ghallughara Diwas programs at Sri Akal Takht Sahib. The Sarbat Khalsa Jathedars had given a call to Sikh Sangat to arrive at Sri Akal Takht Sahib on June 4 to commemorate Sikh martyrs. As per internal sources, police arrested Bhai Mand to keep him from addressing the Sikh Sangat from Sri Akal Takht Sahib. Last year in November, while the Sikh Sangat did not allow Giani Gurbachan Singh to speak from Sri Akal Takht Sahib, Bhai Mand was able to deliver a speech to the Sikh Sangat. Along with Bhai Mand, so far, over 30 other activists have also been arrested. Namely, Sikhs who had given support to the Sarbat Khalsa last year in Chabba have been picked up by the police. Earlier today, in the wee hours of June 4, the Punjab police launched a massive crack down on the houses of prominent Sikh activists. 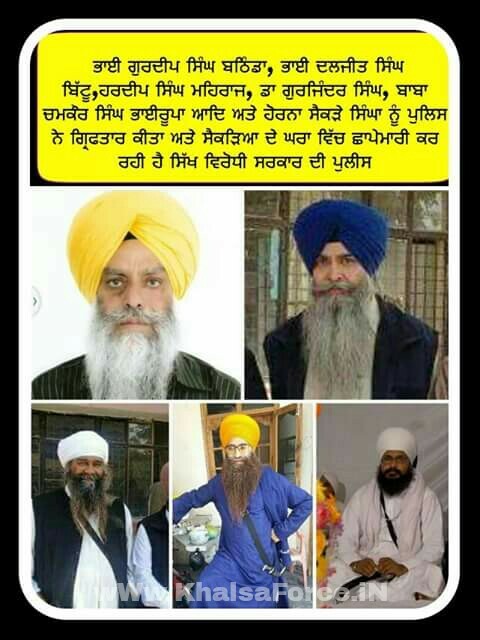 Bhai Daljit Singh Bittu, Bhai Kanwarpal Singh (Dal Khalsa), Bhai Gurdeep Singh Bathinda were reportedly arrested while Bhai Papalpreet Singh escaped the raid. 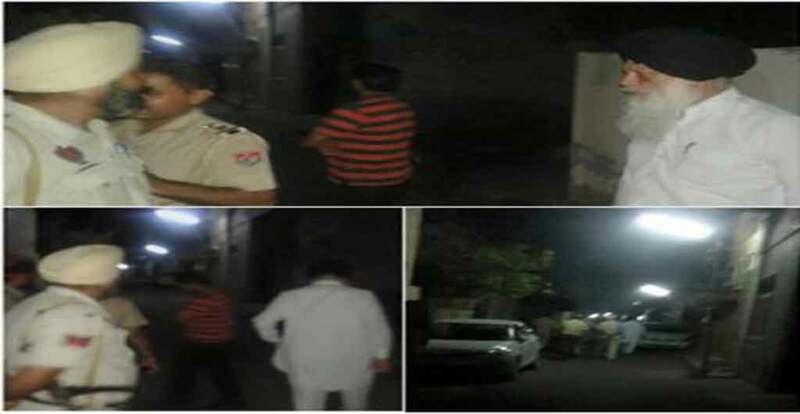 As per reports available from reliable sources, the Ludhiana police raided on the house of Bhai Daljit Singh Bittu (Advisor, Dal Khalsa) in the wee hours today. On being asked by the family members, the incharge of Police party said that he was being arrested at the behest of Punjab government in wake of June 1984 Holocaust Day. Similarly, Bhai Kanwarpal Singh and Bhai Gurdeep Singh Bathinda were also arrested from their houses in Amritsar and Bathinda respectively. Latest updates reveal that Bhai Kanwarpal Singh was released in the evening at 4 pm.